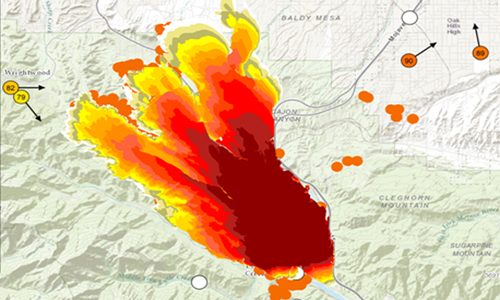 Real time fire spread models and what-if scenarios make the WIFIRE Firemap one of the premier firefighting tools. The Los Angeles Fire Department is poised to tap into Firemap, a web-based tool that allows data-driven predictive modeling and analysis of fires with a high potential for rapid spread. 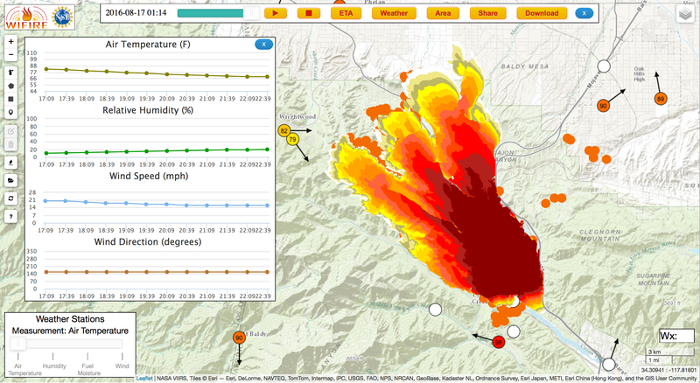 Developed by the University of California San Diego's (UCSD) ‘WIFIRE’ collaboration, the new tool enables real-time fire forecasting and a ‘what if’ analysis of fire scenarios. The overall goal of WIFIRE, the result of a multi-year US National Science Foundation (NSF) grant, is to make data and predictive models readily available so that the direction and rate of fire spread can be known as early as possible to assist in rescue and containment efforts. WIFIRE’s Firemap data resource also provides easy access to information on past fires, past and current weather conditions as well as weather forecasts, satellite detections as fast as they are received, HPWREN camera images, and information on vegetation and landscapes from a variety of sources. These are all datasets that users can now view in one place, achieve programmatic access via web services, and use for planning fire response and management of natural resources well ahead of time. Firemap has already attracted some interest from a number of fire departments and was recently presented at the 20th Anniversary of the Annual Lake Tahoe Summit, where President Obama gave a keynote address on the importance of partnerships and innovation in tackling our shared climate and conservation challenges. “WIFIRE is a great example of how distributed data sets can be used within an integrated system to transform that information to action in real time for an effective decision support and response,” says Ilkay Altintas, chief data science officer at the San Diego Supercomputer Center (SDSC) at UCSD and principal investigator for WIFIRE. Since the fall of 2015, the WIFIRE team has had a partnership with the LAFD focused on a pilot study to use WIFIRE’s new Firemap tool in real-time fire situations. The WIFIRE team and LAFD tested the operational aspects of the developed technology on a drill in July 2016. In addition, in the Sand, Blue Cut, and Soberanes fires, which burned more than 200,000 acres combined in California earlier this summer, the WIFIRE team shadowed the actual fire progression with Firemap. The comparison between the fires’ actual daily progression and WIFIRE’s real-time prediction model were extremely close. “For Incident Commanders (IC), the WIFIRE Firemap is one of the most progressive decision making tools developed in the last decade,” says Terrazas. 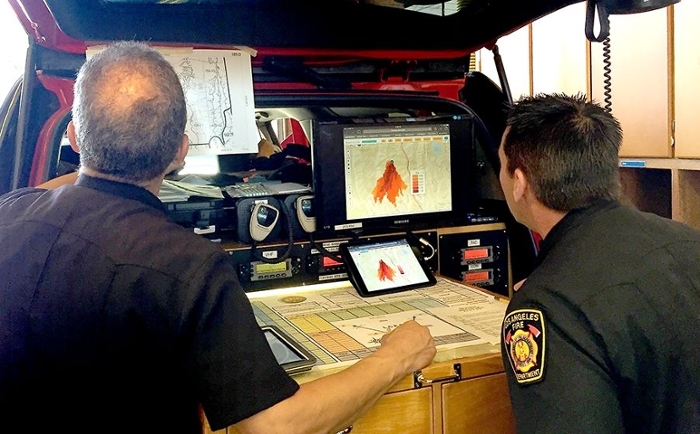 “We are very excited about our partnership with the LAFD, which enabled our team to work closely with firefighters to test the usefulness of our tools in real time, and helped the WIFIRE team to more effectively calibrate our research protocol in terms of actual operational aspects,” says Altintas. The WIFIRE project includes researchers from SDSC, as well as the California Institute for Telecommunications and Information Technology’s (Calit2) Qualcomm Institute, and the Mechanical and Aerospace Engineering (MAE) department at the Jacobs School of Engineering. The University of Maryland’s Department of Fire Protection Engineering is also a project participant.